Embracing the Life of a Christ-follower Teach The LIFE, a 52-lesson Bible study by YM360, and equip your students to understand exactly what it means to live as a follower of Christ. BUDGET SAVER! The LIFE includes access for unlimited teachers within your church! NO SHIPPING! The LIFE is downloadable and available as soon as you purchase. The call to faith in Christ is a call to action. It’s a call to a transformed life, a life that has a specific look to it. This life is called discipleship. And it’s the expected path of all who come to faith in Jesus. The call to saving faith is a simultaneous call to follow Jesus in a lifetime of devotion. There really isn’t any other option. The idea that we could know Jesus but live unchanged lives isn’t biblical. The picture of biblical faith is the picture of life daily lived in relationship with God. It’s a life of discipleship. Of “followership.” And The LIFE will help your students know exactly what the call to follow looks like. Using a unit-based approach, The LIFE makes the case for discipleship as the expected norm for all Christians and then helps your students know what this practically looks like in their lives. 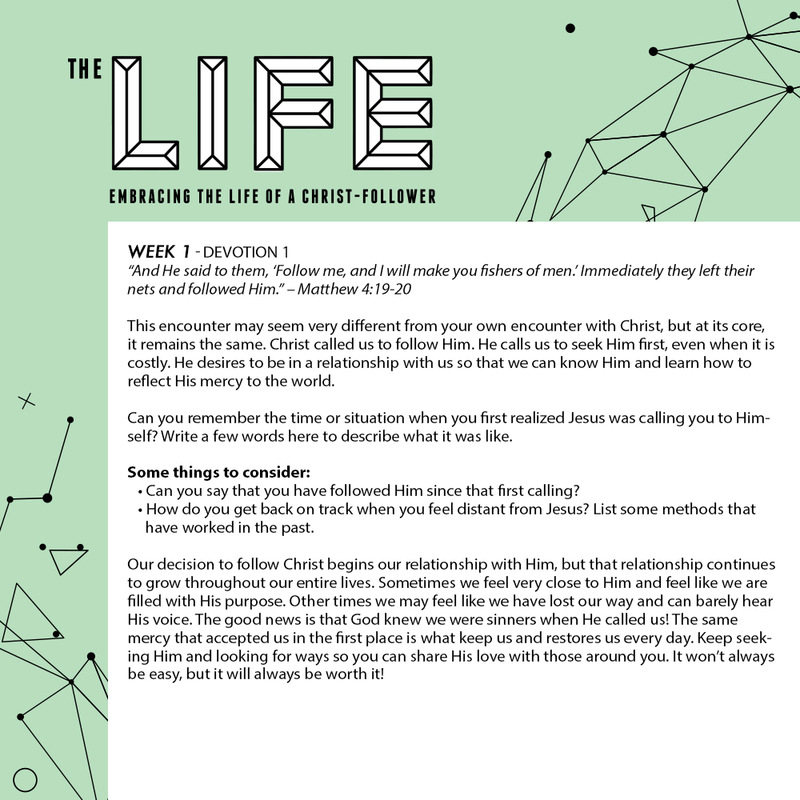 Download the scope and sequence for The Life, a 52-lesson curriculum! Get an up close look at a lesson plan. You'll get both PDF and DOC for each lesson with The Life! Each lesson in The Life features a Teacher Prep Video. These short videos help guide your teachers in exactly what to focus on in their lesson preparation.